Spanish polar explorers arrive in C Town - SABC News - Breaking news, special reports, world, business, sport coverage of all South African current events. Africa's news leader. The group crossed the icy continent in a wind-powered sled which it says could be a major transport breakthrough. Four Spanish Polar explorers have become the first people in the world to undertake an expedition in Antarctica — using only the wind to carrying over two tons of equipment. Recuperating in Cape Town for a few days, before departing for their home country, the four spoke to SABC about their extraordinary, historic journey. It’s a warm day in the Mother City. Strolling along in the Company’s Garden are four exceptional men. They’re enjoying the sight of Table Mountain, lush greenery and a warm breeze. This is a world away from what the explorers endured a few weeks ago – the never ending white landscape and the temperature of 40 degrees Celcius below zero. Their 52-day journey, trekking over 2500 kilometres on the Antarctic interior, was done harnessing the power of the wind only. They became the first people to use a sled carrying an enormous load of over two tons pulled by massive kites – proving that exploration can be done in a green way. Inspired by the ancient sleds of the Inuit people of the Arctic regions, the Windsled is the brainchild of Ramon Larramendi. 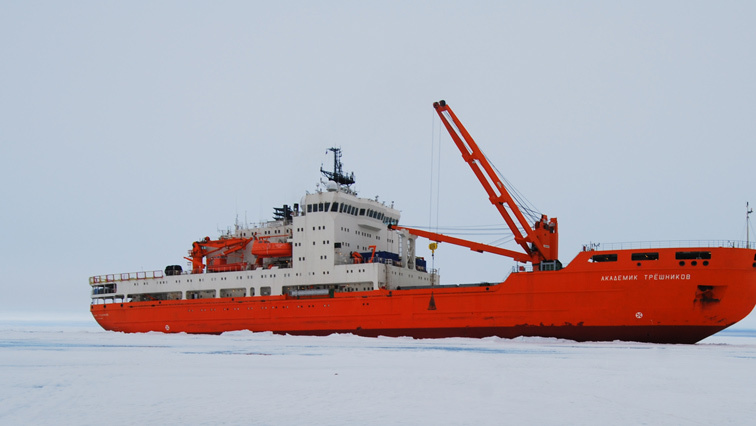 The design allowed the team to carry equipment to do scientific work on behalf of a number of institutions. Larramendi has been working on the design and concept for more than 20 years. The sled reached speeds of up to 30 kilometres per hour, demanding absolute concentration and focus from the team. Larramendi hopes that more expeditions will make use of this method in future — helping humankind to understand its home better without causing harm. This entry was posted on 10 Feb 2019,05:20PM at 5:20 PM and is filed under Sci-tech. You can follow any responses to this entry through the RSS 2.0 feed. Both comments and pings are currently closed.